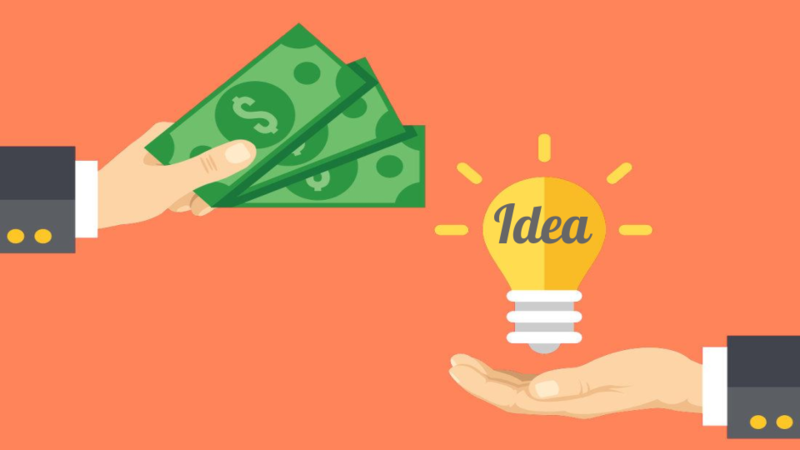 You are at: Blog » Startup Funding » Illuminating Insights: What Is a Startup? A vigorous statement that drives the spirits of the innovators. Living in the 21st century, we’re all evidence of some giant companies that started with the aim of filling a gap in the market. Be it the back story of Facebook (FYI: Facebook business model) that started as “Facemash” which later turned to ‘thefacebook.com’ in 2004 which was exclusively for Harvard students, and eventually, after many ups and downs, turned to “Facebook”-one of the most influential social networking site, Or Uber (FYI: Uber business model) that was born out of the need of a cab on one winter night when the duo, Travis Kalanick, and Garrett Camp, were in Paris for an annual tech conference in 2008, which has turned into a giant today. Most of them have risen out of an unfulfilled need. Innovative startups are making an impact on people’s lives by making everything simpler. 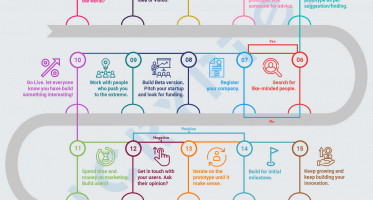 You may like to read – The Ten Steps Needed To Get Started With Your Startup Ideas. Coming Back to the Question – What is a Startup? A startup is a process of setting your ideas into motion. It is not just any newly established company. It has a high potential for fast growth. It typically has 1-3 founders in its initial stage. They secure funding through an investor or take a loan. This will give you just a basic idea about a startup, as defining a startup is very crucial. 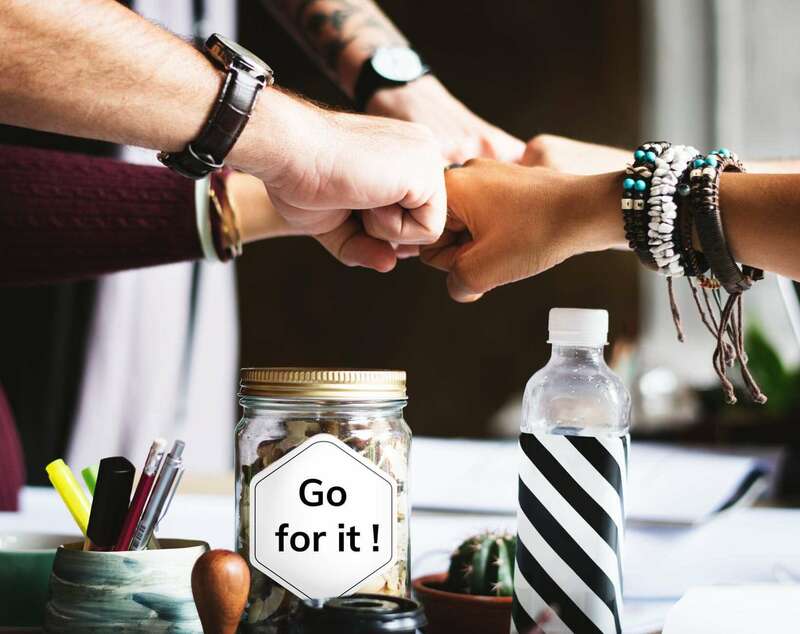 If you’re stuck with ‘I want to start a business but have no ideas’ check out our blog – 29 Startup Ideas to Look Forward to in 2019. Before starting your own business, you should know in which category you want to see yourself. There are several little things that make a startup different from a small business or a corporation. The major difference is an entrepreneur’s point of view of growth. It is up to you where you want to see your company in the next few years and are you capable of reaching there. Now after having some idea about ‘What is a Startup?’ Let’s throw some light upon the factors that form a startup company. All startups will start out as small businesses, but not all small businesses are startups. The key difference lies in their perception of growth. Startups are designed to grow fast which is the reason why most entrepreneurs today are starting out as tech startups as the internet provides a very large market to their companies irrespective of time and space. It is not necessary though that all the tech startups need a large market. If you have a select product for niche requirements, you already have a target market. For rapid growth, you need to have a product that has the potential of creating demand. Your startup needs to create a product which could disrupt the markets or bring an existing product to a new market. A startup is a job you cannot quit. The product of the startup companies is something that is driving their passions and ideally, something that is never done before. This passion leads an entrepreneur to push the boundaries. Starting your own business could be a real struggle but you need to show your team how much the idea means to you. An entrepreneur gathers around people who understand the potential of the idea and are willing to work upon the same. It is more of experiments as you don’t know how it will operate, or what would be the customer’s review about your product. There is a common goal of all the startups to bring change, innovate, and disrupt the ways things are done traditionally. It is not just about bringing new products, a startup may also focus on the execution of things, the way the product is offered. For instance, who would have thought there could be an artificial coating on fruits to keep them fresh longer? Yes, there are such tech startups coming to light. In this way, the answer to ‘what is a startup’ is easier as it is something that is changing the world and making things simpler. A startup is about innovations without a doubt, be it bringing about a new product or solves a unique problem people have. This innovation could also be seen in the business model of a startup. An entrepreneur could also base his ideas on the loops that his target competitors have, to fill the gap in the market. It is about bringing your creativity to life, about bringing your ideas to real terms. Also, keep in mind to never totally love your idea. Startups are on an open-ended note to welcome variations in their ideas to make it fit for the market. For any company, there is no single fully efficient business model that covers all aspect of their business. A startup company also innovates a business model to come up with something that fulfils all aspects of their business. It may be a junction of two or more business models. For instance, the Airbnb business model is a mixture of Aggregator, On Demand, and Marketplace. A startup searches for a scalable business model that fulfils all their aspects and is furnished to generate revenues and profitability over time. Generally, founders experiment with business models to create a unique sustainable model which is adaptable and could be changed with time. For instance, Netflix was earlier an online DVD rental service, with the changing technology it has adopted features in its business model that has led Netflix to become one of the titans of online video streaming industry. You may like to read the Netflix business model. Most people do not consider them as a viable option but they could be the most trustworthy investors, as they are the closed ones to the Entrepreneurs. Also, this could work for evaluating your ideas. They could contribute to small capital to your startup when nobody else would be possibly convinced to invest in your ideas. Angel investors are people that support your business by investing their own money if they find your idea promising in an exchange for debt or equity. 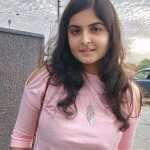 These people also involve themselves in other aspects with their experience or connections. They help startups take their first steps without thinking much about the ROI. Angel investors are the opposite of Venture Capitalists. Seed capital is the initial funding for any startup for covering initial operating expenses to attract venture capitalists. The entrepreneur’s business capabilities and the product’s benefits determine how much seed capital the investor may invest in the startup. For instance, Google offered seed capital to the Center for Resource Solutions for the conception of renewable energy certification programs in Asia in April 2016. Venture capital has become more popular among startup companies who could not get funds from other resources such as bank loans. Venture capitalists are people who provide funding to startups or small business companies that have long-term growth potential. The major downfall for this type of funding is that the investor gets equity and hence has a say in the company decisions. To initiate this funding, any business must submit a business plan first to the investor, after which there would be a systematic investigation of the business plan and the product provided by your company. After this, the investor takes an active part in the funding company by advising and monitoring its growth. Private equity consists of capital that is not publically listed. It includes a group of investors that directly invest in startups or engage in the buyouts of public companies. The capital provided by retail investors is utilized to fund startups and new technologies. Private equity has two types of partners, Limited Partners (99% shares, limited liability) and General Partners (1% shares, full liability), who own shares in funds and liability. There are several online crowdfunding platforms available online these days. For online crowdfunding one needs to start a campaign and if the investors like their business idea, they may invest in their campaign. This way online crowdfunding could help you before starting your own business. There are two types of crowdfunding; Rewards, where entrepreneurs presell a product without incurring debt or loss of shares and Equity, where the investors hold shares of the company in exchange for crowdfunding. The incubator helps the startup companies in the beginning stages of the company. Incubators focus more on the longevity of the startup. They work like mentors and put in their time and resources. The incubators generally do not invest capital and do not take equity stakes. The accelerator helps existing startups that have an idea and a business model to execute. They work in a set time of three to four months. The accelerators use a formal model and choose the top startups that are scalable and have fast growth potential. They also offer capital for a predetermined percentage of equity. When a startup company is founded, the founders start it with a vision that their idea has the potential to change the world. It may not always work out that way but when it does it really changes many preconceptions of the world. Bird is an electric scooter sharing company that was founded in September 2017 by Travis VanderZanden, a former executive at Uber and Lyft. It has spread in more than 100 cities across North America, Europe, and Asia. In 2018, it was named as one of the Genius companies in Times Magazine and stood 5th in the list of 50 most sought after startups by LinkedIn. Bird provides an app that gives you information about all the scooters near you and other small details, for instance, battery charge in the scooters. It has gig workers and private contractors for charging the scooters, the company provides them with the charging equipment. The users can find a scooter near them and pick it for a minimal charge of $2-3 and they could park it anywhere in the city after use. In a year, the company celebrated its 10 millionth ride. The total valuation of the company has reached $2 billion after Series C of funding. You may also like 6 Reasons Why Startups Fail and What Should be Done to Avoid Them? Noodle.ai offers A.I. as a service to optimize decisions through machine learning tools founded in May 2016. It raised over $35 million by June 2018 which is triple the amount of its total funding. It is led by a former IBM executive. It builds custom-made applications for clients to solve data problems with its algorithms. 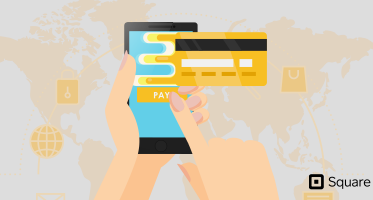 It is already a part of a few success stories by its consumers, for instance, an airline company used this platform to compute better price flights. Noodle.ai is expected to expand its proficiencies in 2019. Upsurging the on-demand economy, Puls established as an on-demand smartphone repair company in 2015. From 2017, the company has broadened its aspects by providing more solutions to the customers. A user books a service and is provided with a technician within an hour to the location to provide a solution. It provides in-house services like demonstrations, installations, and repairs of all household appliances. In August 2017, the company raised $25 million in Series B funding round. According to the last report, the company stands at a valuation of $93 million. Drift is a sales and marketing platform. It uses chatbot as an automated sales rep. They suggest “conversational marketing” as Drift’s core business. Earlier when it was launched, it started as a traditional sales and marketing platform which later changed when they generated their own niche. It helps companies convert their visitors into potential customers. It has features like filtering best leads, identifies which sales rep should speak to that particular visitor and then books a meeting between the two. It started as Performable, a marketing automation platform in 2009 which was later acquired by HubSpot. Later in 2015, Drift was found as a messaging platform for sales and marketing. In 2017, the company introduced Bots to remove friction in conversations and today, 50% of conversations are managed by AI entirely. Startups are launching in almost every industry from Fintech to Robotics, the only common thing among them is Technology. Almost everything around us is in some way related to technology. Venture Capital firms are pouring their money into tech startups with top talent and innovative technology. In this fast-growing world, the startups are also showing fast growth that was not thought to be possible before a decade. 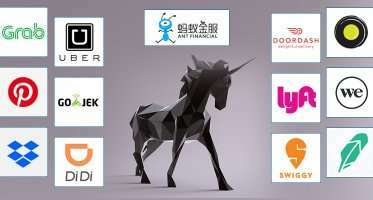 In this world of Ubers and Twitters, let’s talk about some startups that were unable to gain much attention although they are more diverse and tech-centric than most other startups. Slack is a work chat app founded in August 2013. It offers features like chat rooms (channels) organized by topic, private groups and direct messaging. Although it started as an organizational platform it is now slowly turning into a community platform. It allows group or teams to join the conversation through a URL sent by the team admin. Slack has raised $790 million funding in 10 rounds. It has raised an issue in other companies like Microsoft and Atlassian to reconsider their own work chat apps. Uptake, a software company, was founded in 2014 with an aim of providing companies with its industry-specific content. Its foundation lays around AI and machine learning. Its main products are Asset Performance Management, Sales and Service Management, and Process and Operations. They provide analysis of machines by examining their reliability and performance by transforming data into actionable insights via their applications. The company has received many awards, for instance, “the 2015 Moxie Award for Best New Startup” and was named s Hottest New Startup in Forbes in 2015. Later in 2017, Pitchbook named Uptake the Fastest US Startup to reach a $2B Valuation. Therefore, Uptake can be considered as one of the most successful Tech startups. Zume Pizza is a pizza delivery restaurant, but not any regular pizza outlet, it is an automated platform where they use robots to make pizzas that consist automated ovens, a self-cleaning robot cutter, in all it has 8 robots. It was founded in 2015 in California. It also plans to partner with other businesses to provide more robo-prepared food items like salads and desserts. The restaurant provides a delivery service wherein the pizzas are cooked en-route in the van. It has raised $6 million in Series A round and raised $48 million in Series B funding. In November 2018, the restaurant stood valuation of $2.24 billion. Zume Pizza can be considered to be one of the most innovative tech startups. Flexport is the first online platform built around efficient freight forwarding and real-time analytics of shipment for its clients. They give the client a better understanding of where their products are while they’re being shipped and provides visibility and control over their products. Today the company has clients like Warby Parker and Georgia-Pacific using their platform. According to Wikipedia, Paul Graham, the founder of Y Combinator, told Bloomberg News, “There will be more international trade because of Flexport and international trade is a very big thing for there to be more of” in 2015. The company has raised $304 million in its three funding rounds. The founder of the company, Ryan Petersen, has also found Import Genius and is a contributor to TechCrunch. It was ranked as the eighth fastest growing company in the USA in August 2018. 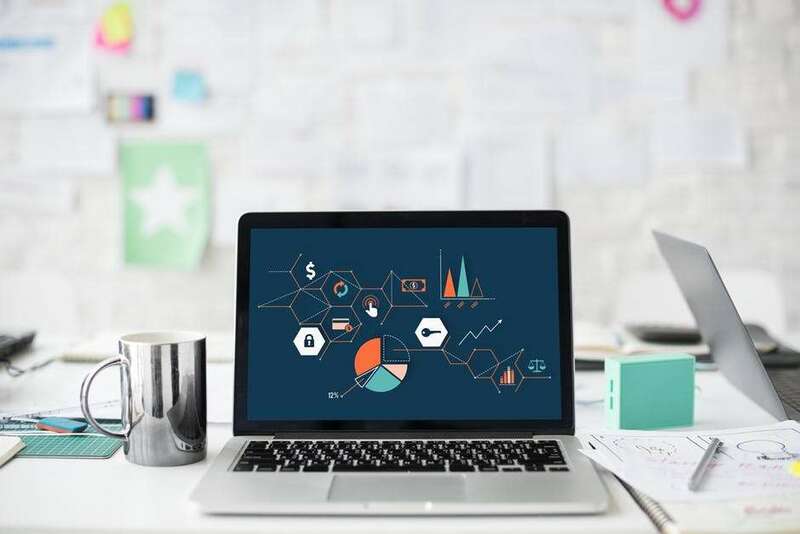 Before starting your own business, keep in mind that it is not easy to bring technological advances in industries that have been working for ages in the same old fashion. But change is inevitable, new is good! You can take inspiration from these tech startups that have brought change in the world. When is a Company Not a Startup Anymore? There are several factors that draw a line between a well-established company and a startup company. Companies like Google, Facebook, Amazon, and Twitter started out as innovative startups that changed the vision of different industries. That is what startups are supposed to do, bring light to what more could be provided, fill the gaps in the prevailing markets and disrupt the traditional markets. But there is a time when these startups bloom to its fullest, that is when they leave the title of ‘startup’. The main factor when a company is not a startup anymore is when it goes public (a company goes public refers to IPO initial public offering, companies choose to go public to gain capital for their expansion). Another notable factor is when the startup forms rivals and competitors start copying their business model. The company starts having more employees and there is a considerable division of workload among the employees. Such factors could be the measuring units (probably!) but there is no proper guideline to know when any startup company is ready to go to another level. So, What Is a Startup Anyway? 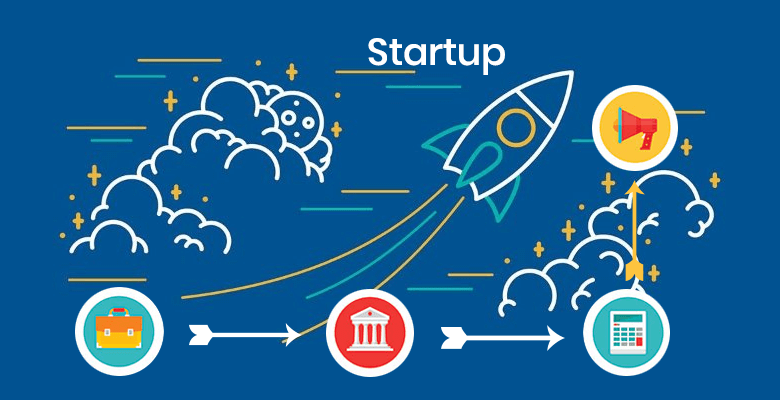 After a deep understanding and analysis of the question “What is a Startup?” here we come to a conclusion that the definition of “startup” is vast and very unclear given a large number of companies starting and progressing in different ways in the world now. However, having an overview of the definition of a startup is a company with an idea to change the world that has an innovative business model that is designed to grow fast. 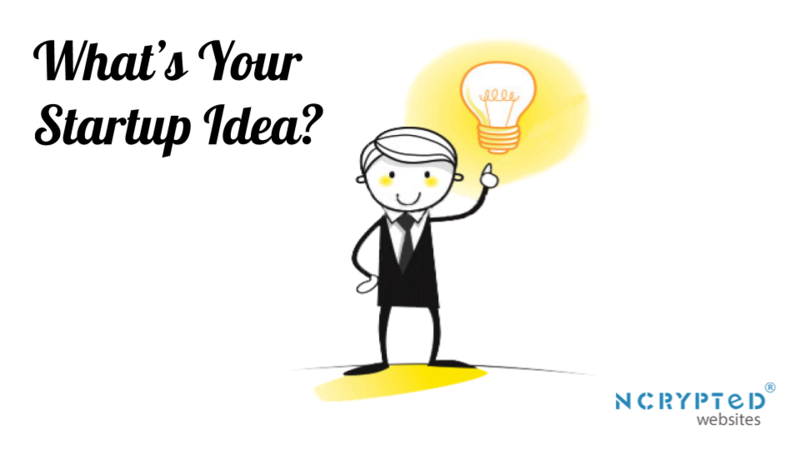 Do You Too Have a Startup Idea in Your Mind? Knowing the emergence of startups in the business world, NCrypted technologies gives all types of technical solutions to clients who have startup ideas but don’t know how to start. We would do all there is to bring your ideas to life when all you have to do is tell us what you want and sit back and relax. We provide you with ready-to-deploy software for your startup, for which you can also give customizations as per your requirements. Our team of tech experts will give you what you want, the way you want without any hassle. Get in touch with us to get into the sea of startups with a successful starting point. We’ve got your back! What do you think about our blog “Illuminating Insights: What is a Startup?” Do you have anything more to say about startups? Please comment your views below! Great work, Himani. There are several factors that draw a line between a well-established company and a startup company. although, the definition of “startup” is vast! great details! Awesome! nice article about startup, and a very good piece of work thanks alot.